Forests signify uncharted territory. A place where you've never been before and you often get lost. This entire project was an attempt to get exposed to tech that we weren't familiar with 36 hours ago and making something amazing in that time. I worked with the Spark Core, the web frontend in d3.js and on seeding the Parse Database. 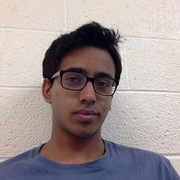 I'm an undergrad in CS pursuing the meaning of life. 42 doesn't satisfy me. I love coding and art and to me, they're almost the same thing.